Join a truly unique, charitable private Hospital only minutes from Central London with a tradition of excellence in care going back for over 160 years. Situated in the leafy St Johns Wood, we are at the heart of the community with all profits funding our onsite St John’s Hospice. Whilst delivering ultimate standards of care, we also provide a warm and caring place for staff to develop. Many of our staff have been with us for years and become part of our family; making this a very special place to work. NHS staff can even continue with their NHS Pension so that making the switch doesn’t mean changes to pension rights. We offer the chance of professional development, as well as many other benefits. So why not start a discussion today about changing your working environment and becoming part of our unique team. Join London’s leading charitable hospital. Browse our latest jobs today and see if we have the right role for you. View a typical day in the life from team members from around the Hospital. Featuring members of nursing staff, reception staff and professional services staff. 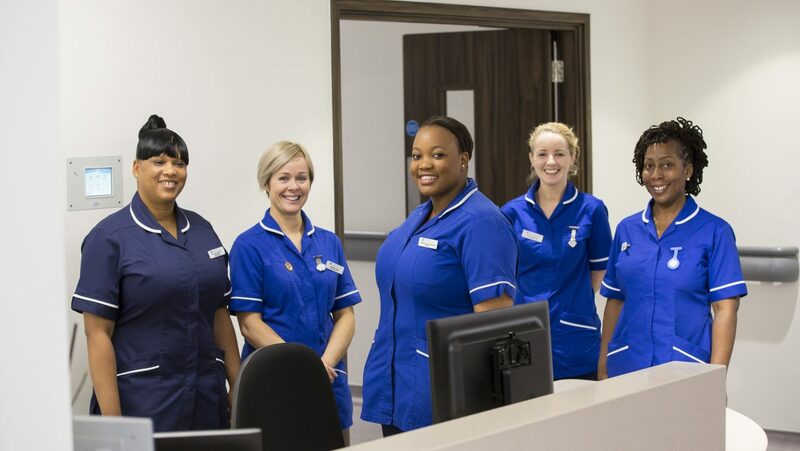 "The staff here are truly second to none and are dedicated to delivering the highest level of patient care"